Background: The laparoscopic approach usually reduces the morbidity of procedures performed by laparotomy. 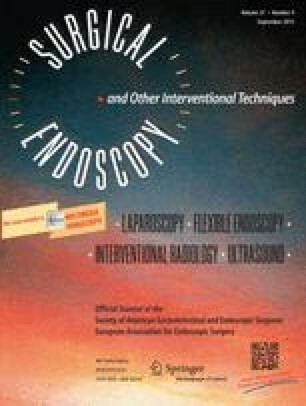 The aim of this study was to demonstrate the usefulness of laparoscopic rectopexy. Methods: A total of 37 patients were included in this prospective study. The indication was true rectal prolapse in all patients. Incontinence was seen in 33% of the patients. A slightly modified Wells procedure was performed laparoscopically. Postoperatively, the patients were evaluated for resolution of the prolapse and incontinence. They were also questioned about their satisfaction with the procedure. Results: Laparoscopy was successful in all but one case. Follow-up is available in 32 of 37 patients. Prolapse was cured in all patients, and the incontinence resolved in 11 of 12. In addition, 38% of the patients experienced significant constipation preoperatively versus 5% postoperatively.